BAM BAM has a special announcement!! MAGNETS! 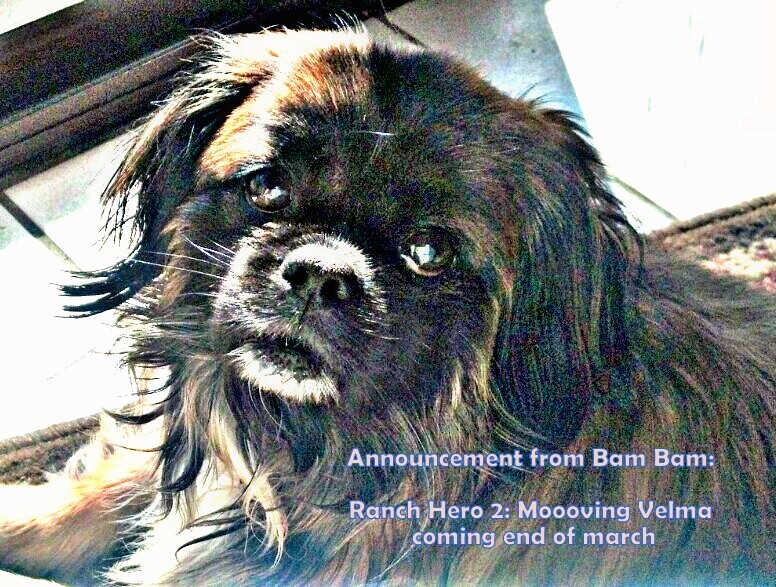 Enter your email addresses and we will send you the latest fridge magnet (which will be the cover of Ranch Hero 2: Moooving Velma). We will contact you for mailing information. DISCOUNTS! Get 50% off the retail price of either book or both!! Shipping and handling charges will apply. BAM BAM will be watching . . . as he frolicks, of course! Tickle Your Inner Bovine with Ranch Hero 2! Don’t miss the riveting second story in the Ranch Hero series. New illustrator Linda Cowen from Queensland, Australia, takes this adventure to a whole new level of fun. 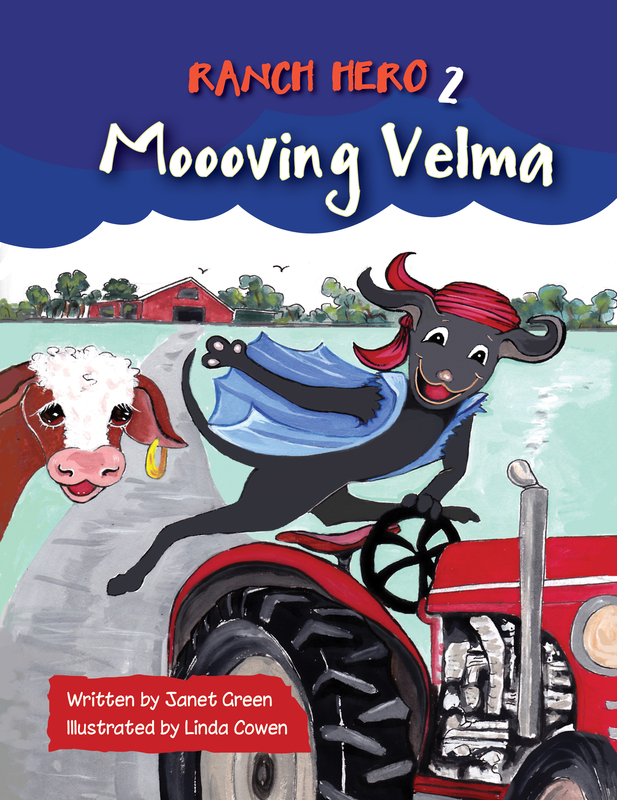 In this second book, two new characters are introduced: Cousin Libbi Lou and Velma the Cow! 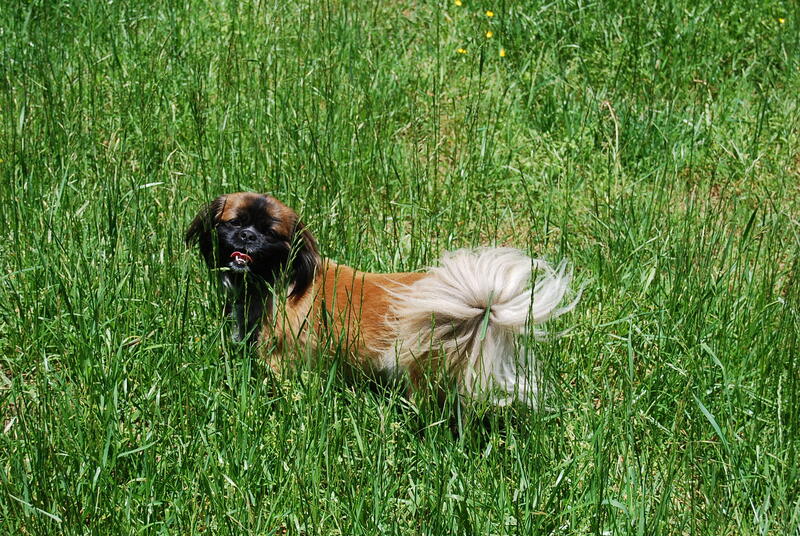 Sneaky Creek Ranch has never been safer now that Ziggy, the Ranch Hero, is around to keep an eye on things. But with Velma the Cow stuck in the mud and the ever-present donkeys harassing the farm pals, Ziggy finds his angel work is never done. Joined by his loyal farm pals on earth, Bam Bam and Chubadoo, and their cousin, Libbi Lou, the Ranch Hero solves this cow caper with muscle, intuition, and a lot of creativity. And Velma gets the thrill of her life! GOOD NEWS: The costs to print the books have gone down (gasp!) and we can pass the savings on to you at a low BEE-U-TI-FUL print book price of $7. To purchase direct through the publisher: Click here. Also available on eBook at Amazon. Woof Woof Raise the Hoof! Fuzzy Slippers Made of Ears? Look! It’s the farm foes, Dennis and Brenda, IN REAL LIFE! 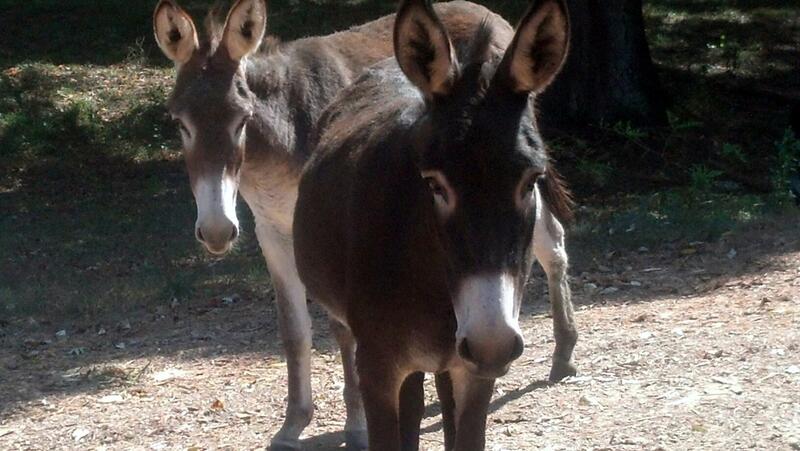 They were particularly curious of the camera this day. Note how their ears look like fuzzy slippers! Soooo cozy! But don’t you dare try it!